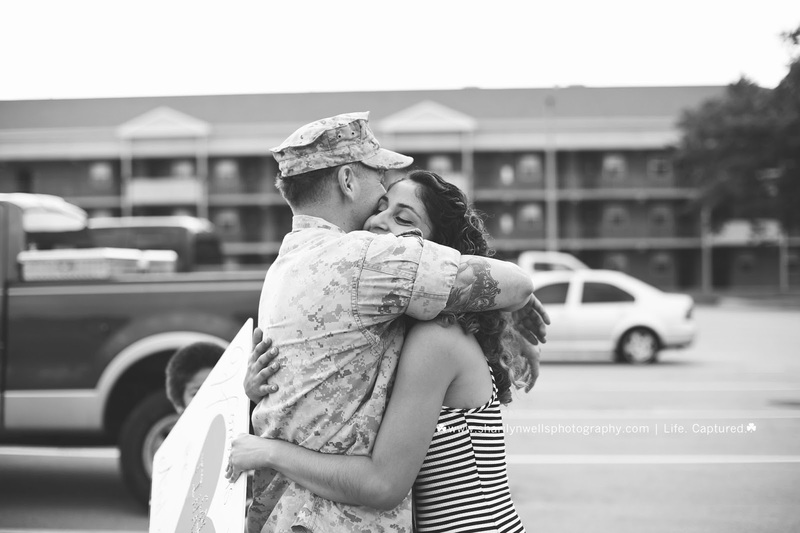 As I always say, when speaking of military homecomings, each one has a different and unique story to tell. And that's why I'm there. 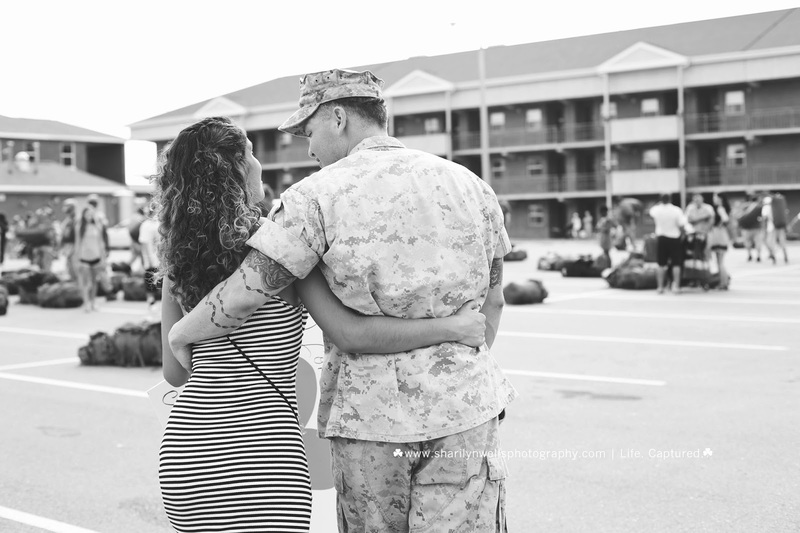 To tell it not only in pictures but to explain to y'all the emotions that each person goes through when they're awaiting the arrival of their heroes. 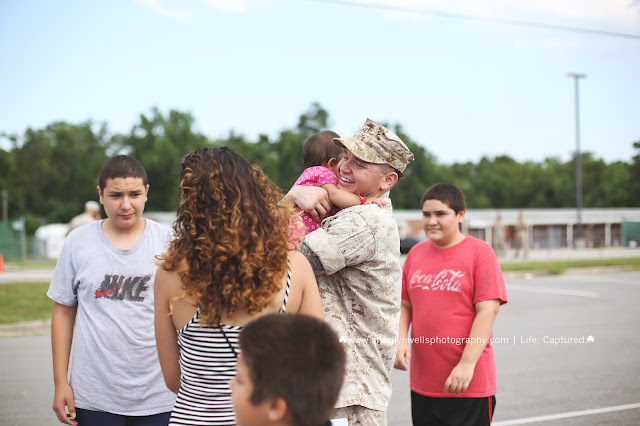 This was my first Marine homecoming. 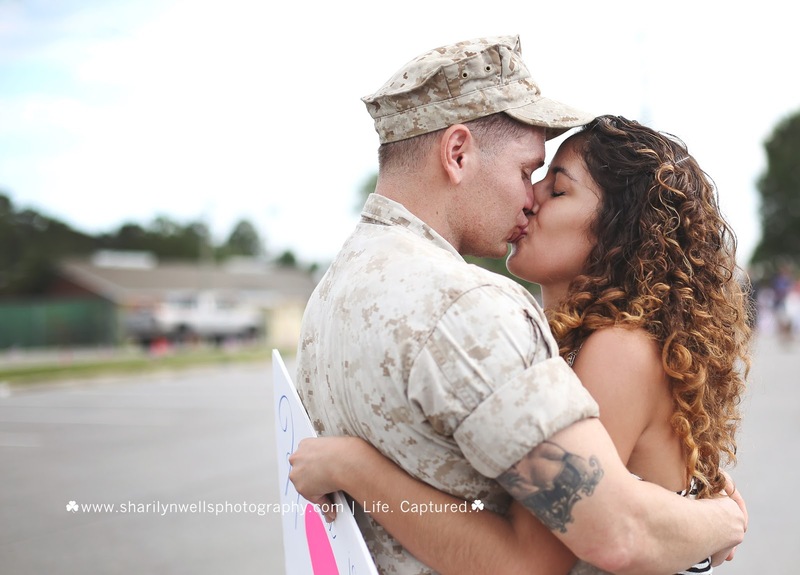 I headed to Camp Lejune, NC to capture this moment for an adorable couple that couldn't wait to see each other. 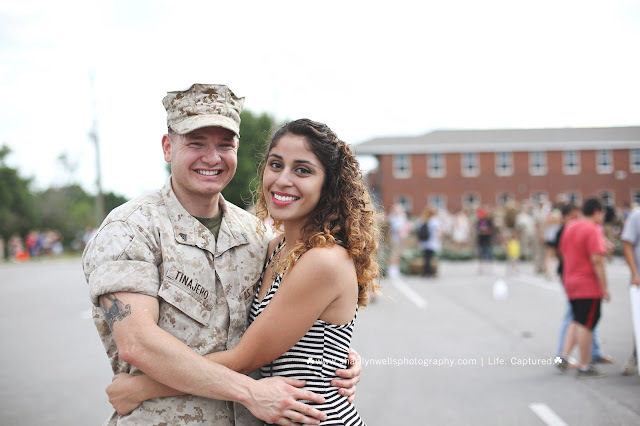 Not only did I speak with the girlfriend before the homecoming, the Marine himself made sure everything was in order since he too wanted this special moment caught on camera. Everything started out well. 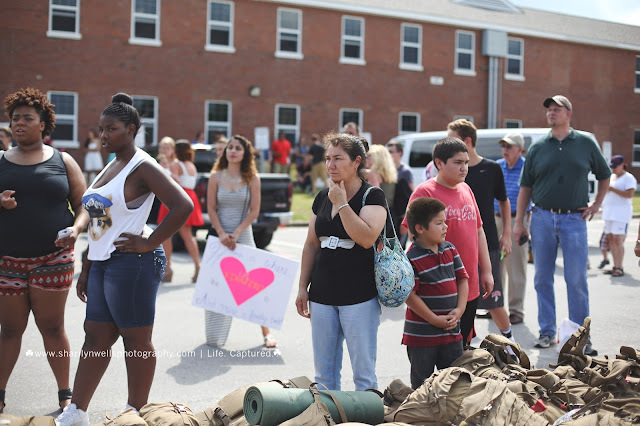 Good communication, I was there early, she showed up just before the first busses arrived and the family members made it as the Marines were walking off the bus. Close calls, but everyone was where they needed to me ... except the Marine. 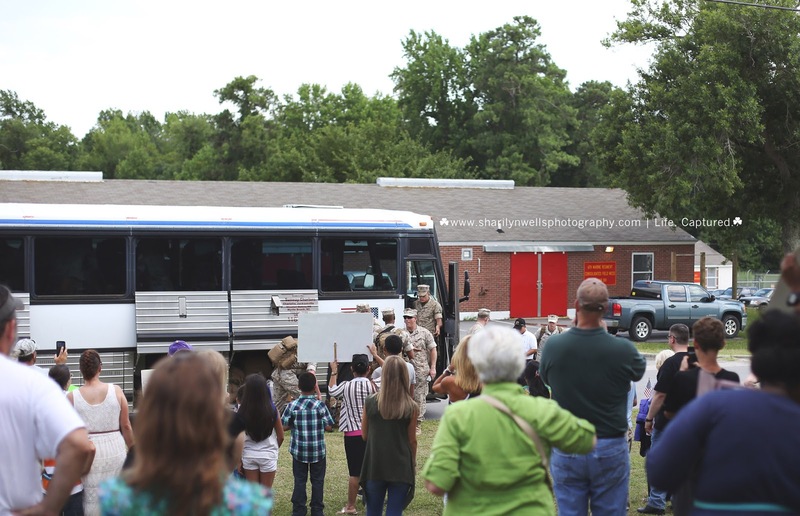 The busses emptied one by one ... but no sign of her Marine. His brothers and nephews tried to find his bag in the sea of tan backpacks. 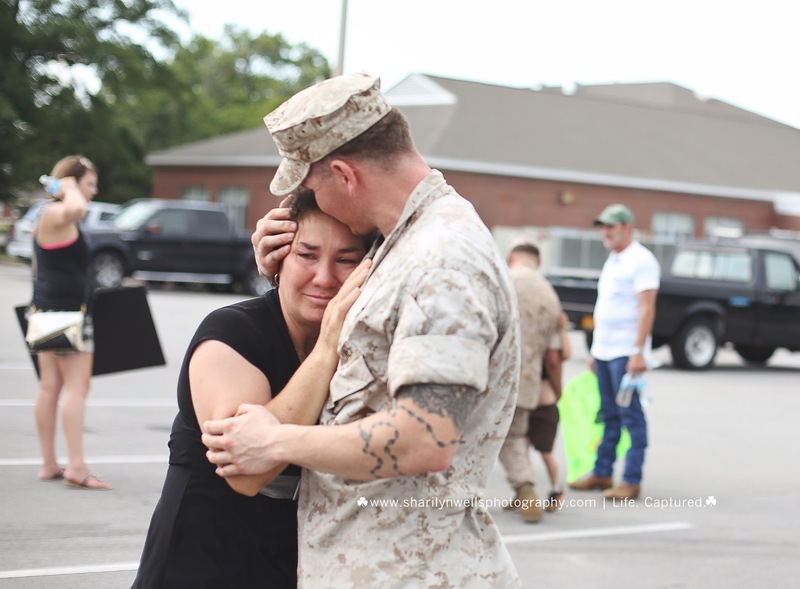 His momma searched the crowd of happy family members reunited with their Marines ... but still no sign of THIER Marine. 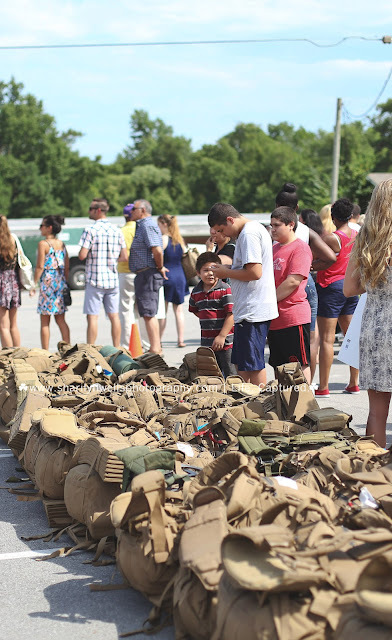 Then a huge crowd of Marines came out of the ammo room, they searched and searched. But still no familiar faces. 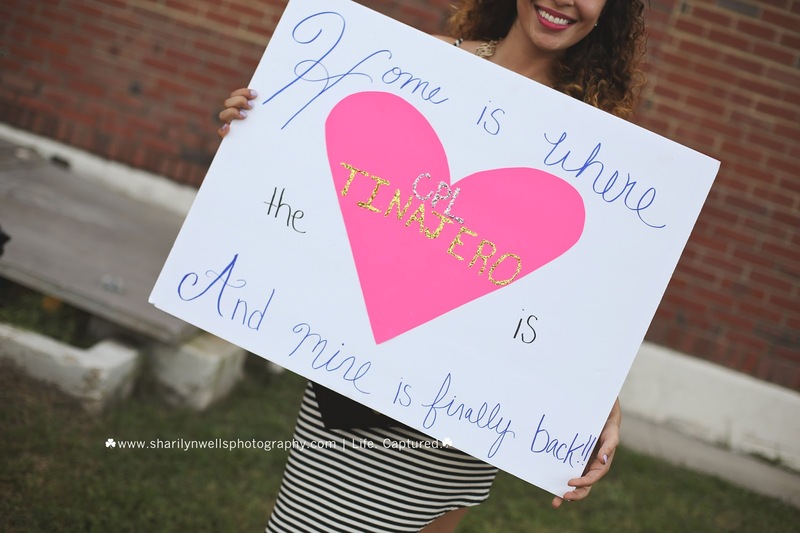 Lemme tell you, they had their hopes raised THREE times, holding up signs, smiling into the crowd, and THREE times they were once again waiting for their hero. Then finally, a big semi pulled out of the parking lot revealing a small formation. He HAD to be in there right? Girlfriend wasn't so sure, but momma had a feeling. She was right there when they were released and got his first hug and kiss. <3 She had her son home. Safe and Sound. 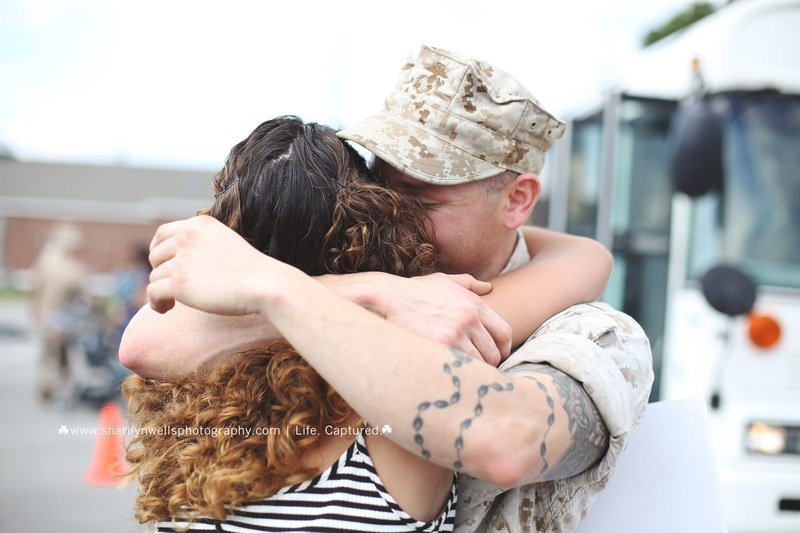 Finally after what seemed like forever, girlfriend and Marine embraced in the tightest most loving hug. You could feel the stress and worry just melt away at that very moment. 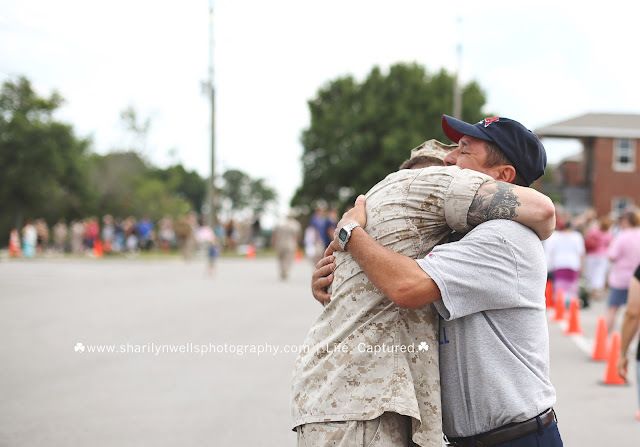 Dad got to welcome his son home with laughter and a bear hug. Then came sisters, brothers, nephews, nieces ... the whole family! But best of all, she had her love home at last. Oh and get this! I am now doing video for an additional "add on" price if you also want to catch live action the second you guys see each other! 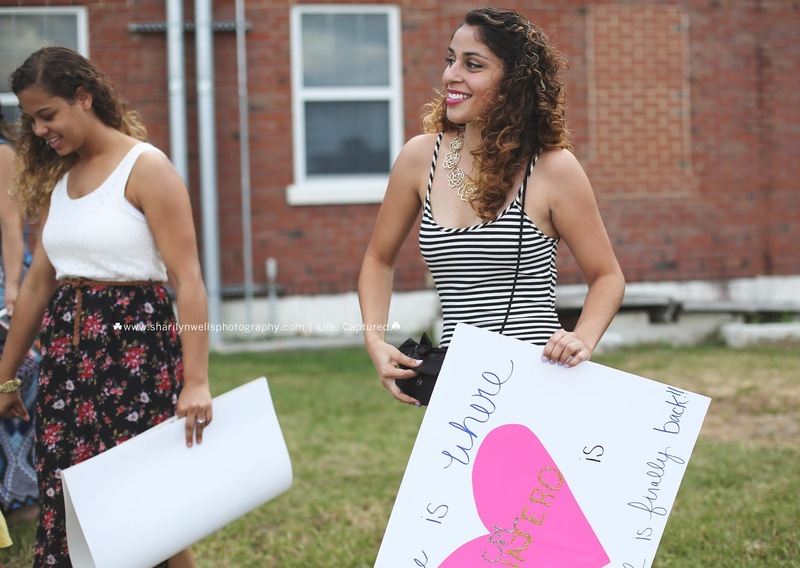 Homecomings are $200 but for just $65 more, you'll get a short video of the whole experience! 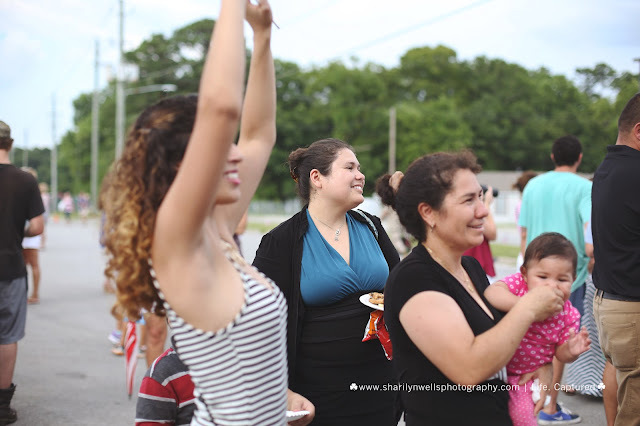 :) Don't forget to inquire about the video when you book!